In the spirit of celebrating Agatha Christie’s 125th birthday anniversary,my friend and fellow GAD mystery blogger Curtis Evans, whose highly recommended blog, The Passing Tramp, is found here, proposed recently that some members of our Golden Age of Detection Facebook group should undertake “The Tuesday Club Murders”. Simply put, we’re going to do a Christie piece every week on Tuesday, “for a while anyway”. I believe you’ll find a list of participants on Curtis’s blog. This should be an interesting exercise. I have tended to avoid discussing Agatha Christie because I think of her as someone whose work doesn’t require “curation”; her work will survive and thrive whether or not I ever mention her name again. Yet there are, as I recently remarked, the possibility that some of her books might be overlooked, especially the books with flaws or problems. It could be that some of my readers have hit the high spots, as it were, and overlooked lesser-known works … perhaps I’ll be able to introduce knowledgeable readers to a pleasure they have overlooked. 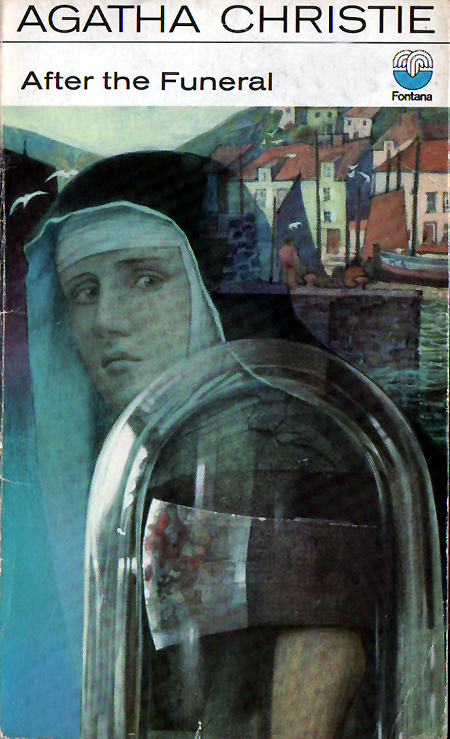 So I’m going to pretend it is yesterday for a moment, and publish my “Top Ten Agatha Christie novels”. I should say that these are not particularly the novels that I find have the most technical excellence, or that are the most clever and intelligent. I’ve read every single thing that Agatha Christie ever wrote and my top ten list is based on these novels being the ones that, essentially, I can read again. 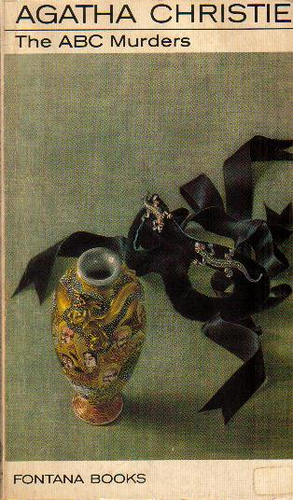 There are not many murder mysteries that stand up to repeated reading, and there are some very fine Christie novels, like for instance And Then There Were None, that I don’t find worth one more run-through. Another criterion is that I’ve used the word “novels”, but that was deliberate; I’m not especially find of short stories and would not bother to re-read many of them. And finally — these are in no particular order. Coming up with ten is difficult; ranking the darn things is just about impossible. 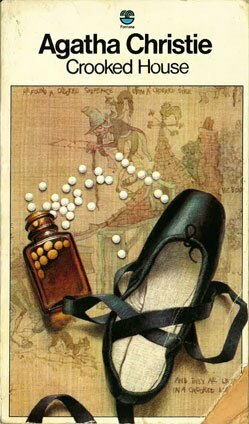 I’ve also used the edition with the Tom Adams covers to illustrate this because, as a group, they’re just so evocative. I can spot a Tom Adams Christie from across a crowded charity sale! Feel free to comment or disagree … which Christie volumes do you think are most worth re-reading? This has always been a favourite of mine. I will admit that Christie could not resist the temptation to recomplicate the plot just a tad too much with the involvement of “Pip and Emma”, and that’s not even a very funny joke. But the central line of the plot is brilliant, with the complete reversal at the end, and it taught me the valuable lesson that one doesn’t necessarily assume that a misspelling in a murder mystery is always a typographical error. 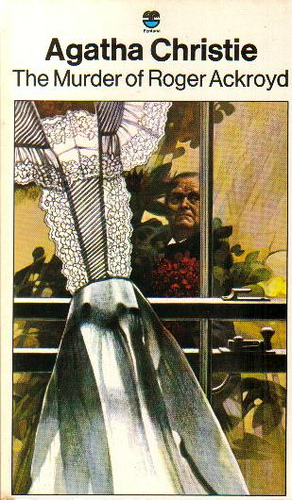 Another delightful reversal of expectations at the end of the investigation, and one of the few novels in which Poirot does not go overboard with enigmatic hints but nevertheless points us to the clue of the wax flowers in a straightforward but completely misleading way. 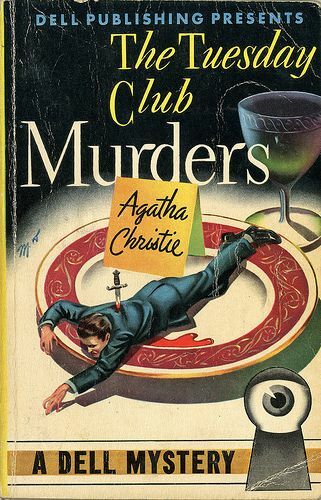 The underlying motive for this murder is possibly the most bizarre in Christie’s oeuvre; I can remember thinking upon first reading this volume that it was chilling and yet completely believable. The premise that underlies the solution here is probably known to most readers of detective fiction, even the most casual. Regardless of your opinion of the “fairness” or “unfairness” of it, I find there’s a delightful sense of anticipation that builds as the novel progresses, even if — especially because — you know what’s about to be revealed at the end. The character of the doctor’s sister Caroline is a fascinating pre-figuring of the introduction of Miss Marple four years later. This shows up on most connoisseurs’ “top ten” lists. I think it’s the novel where everything comes together for Christie; a great plot, great characters, and powerful emotions displayed against a believable and complex background. The writing is spare and stripped-down, but every word counts. This is also one of the few times that Christie managed to create a believable adolescent character. 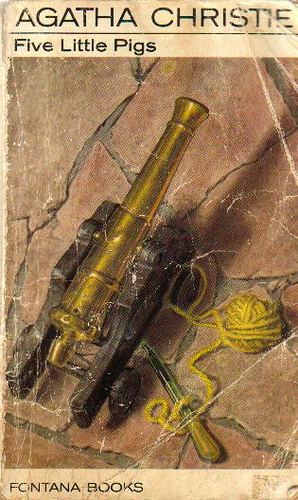 This is a murder mystery masquerading as a novel about poison pen letters, and it’s the perfect combination of Miss Marple, the ways of a little English village, and the ways in which village types repeat themselves. I love the way that the quotidian habits of villagers are peeled back for us to view, while Miss Marple assembles them into a coherent and believable portrait of what must have happened and why. 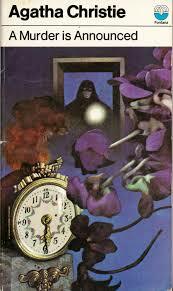 I’ve mentioned this one before as a non-series Christie mystery that needs a little curation; it’s always been a favourite of mine because Christie’s subtlety is never threaded through a clever plot so excellently as here. I think the lack of a series detective actually works in the favour of this book. 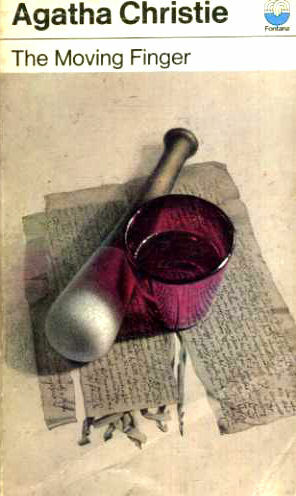 The solution is one of the most unusual in all her novels and will surprise all but the most jaded and experienced. This one is on my list because in this novel Christie invented a trick here that she used again and again throughout her career, never more subtly than here. The sub-plot about the wristwatch is a little tiresome, and it seems as though there are two “C” plots instead of a straightforward “A/B/C” structure, but I can imagine the reader of 1932 finishing this and grinning in pleasure at having been fooled so thoroughly and so well. It stands up well to re-reading as the tiny, tiny clues click into place. 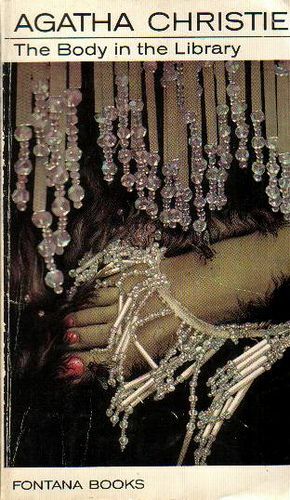 I’m very fond of the entire sweep of the serial killer novel and this is where Agatha Christie took this nascent form, still struggling to find its place in the genre, and turned it inside out. I admit her characterization of Mr. Cust doesn’t impress me with its realism, but, oh my, this book is so darn clever … it’s one of Christie’s “snow globe” novels where everything changes near the end when you look at events from a different angle. Yes, I’ve said recently that this novel is seriously flawed, and I haven’t changed my mind. Most of the characters, when you hold them up to the light, are pure cardboard. But the central three — the doctor, his wife Gerda, and the sculptor Henrietta — are so powerful and realistic that they carry the book. And Christie here works a variation on the “least likely suspect” idea that is beautiful in its simplicity and also completely unexpected. 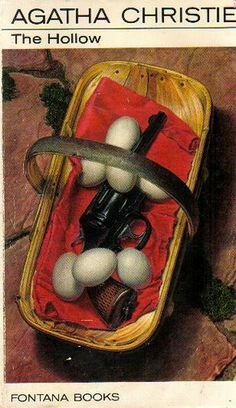 You’ll never get me to admit to a single favourite Christie novel, but if there was a gun to my head — this title might be forced from my lips. It’s beautifully plotted, elegantly written, and so exquisitely structured … it made me feel sad for the movie-struck Girl Guide, and opened my eyes to the tedium and squalour of what are thought of as glamorous professions. It also taught me to always follow the money in a murder mystery. 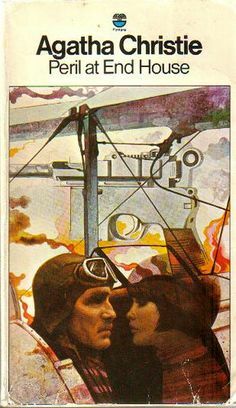 This entry was posted in Detective fiction, Genre fiction, Golden Age of Detective Fiction, Mystery, Novel, The Tuesday Club Murders and tagged Agatha Christie. 😉 No, on the contrary, peace and army seem very desirable to me. Thanks! And, yes, I think I could come up with another ten favourites myself. Nice to see Peril at End House get some love. I knew the solution going in, but I loved how she clued it. Don’t know how much I can agree on The Body in the Library though. I like it, I think that it’s a good intro to Christie, but all but three characters are very bland, and two of them are barely in the book! It’s hard to disagree with your choices (as well as the additionals you mentioned in the comments section).I’d also go along with Moira in choosing MR’S MCGINTY’S DEAD. Re-reading some Christie recently I was struck with what a funny writer she can be. MMD is often a very amusing book, and the scenes with Poirot in the awful boarding house are hilarious.